While gritting teeth and shaking hands with Bitcoin is necessary, Austrian economists should flash a toothy smile and embrace it warmly. Bitcoin is, after all, Rothbardian money. I say this because Bitcoin digitally manifests the optimal attributes given to money by Austrian School economist Murray Rothbard. Because of the distributed nature of its protocol, Bitcoin is, in fact, superior to its alternatives: fiat money and a return to precious metals. The comparative advantages Bitcoin provides are staggering and therefore those who champion higher standards of living, radical liberty, and privacy should champion Bitcoin. There have been a number of attempts at digital currency in the past. Why is Bitcoin any different? 1. Bitcoin is resistant to fractional-reserve banking. Bitcoin is accessible at all times by regular people in regular circumstances. No longer is there any need to trust centralized third parties to safeguard one’s money. With fiat money and precious metals, transporting, safeguarding, and using large amounts is difficult; third parties like banks and financial institutions are required through the use of warehouse receipts and digital representations. With Bitcoin, all money is digital – and so carrying the value of a million dollars in your pocket is just as easy and safe as carrying the value of one dollar. This is because the only thing that needs to be held is a private key, which is usually about 64 characters long. So long as this key is secure, one can spend all the bitcoins belonging to that address. Furthermore, every bitcoin unit in the network is accounted for in the blockchain. Every bitcoin that exists belongs to some address; there is no ambiguity over control. Because of this transparency, there cannot be any systemic risk of overissuance of notes “unbacked” by specie. In fact, there’s no need for money substitutes at all! There is never any discrepancy with regards to ownership as bitcoin wallets, though they perform identical functions, are strictly differentiated from each other by cryptography, and only the private key known to the owner of the wallet will allow one to sign transactions. It is by definition a 100% reserve currency. When one acquires Bitcoin, what one purchases is space on a finite ledger. 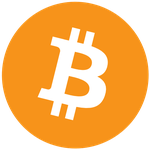 To own one bitcoin means to exercise control over 1/21 millionth of all bitcoins. The promise of someone taking your bitcoin and offering a token “just as good” as the bitcoin itself would send shivers up any bitcoiner’s spine. Mt. Gox, the largest Bitcoin exchange of its time, was purportedly engaging in fractional reserve tactics when they filed for bankruptcy. This situation is an unfortunate consequence of owners depositing bitcoin in wallets on centralized servers. Far from being necessary, it only exists insofar as people allow intermediaries to retain control of their bitcoin. Holding bitcoin on an exchange or a web wallet without being given the private key is essentially surrendering money for an unenforceable claim to money. The inability of Mt. Gox customers to withdraw USD, and eventually BTC, created an enormous price spread between Mt. Gox and other Bitcoin exchanges. That Bitcoin was trading at a premium on Mt. Gox reflects the risk market participants sensed by retaining assets on the exchange. The spectacular failure of Mt. Gox has raised public consciousness regarding the need to personally safeguard one’s holdings. Bitcoin as a next-generation peer-to-peer platform obviates the need to rely on trusted third-parties like Mt. Gox to facilitate trade or store funds. Individual people can enjoy the benefits of bank-like security for free, on their own person, without investing significant amounts of time or labor. 2. Bitcoin is mathematically scarce. In addition, Bitcoin is much more scarce than any known competitor. Bitcoin’s scarcity is secured by mathematics, instead of geology or institutional trust. While future gold reserves may yet be found on asteroids or created in laboratories, Bitcoin will never surpass 21 million units. Almost complete consensus would be required to change such a fundamental component of the currency – as opposed to being determined by the discretionary powers of a chairman or the limits of our science. Bitcoin, being a purely digital entry, can be further subdivided by an order of 100,000,000. Bitcoin is thus far, far more divisible than gold. Whereas breaking gold into pieces smaller than a gram is infeasible in practical settings, Bitcoin can be broken down infinitesimally. Wallets also automatically split and aggregate pieces of Bitcoin that are spent and received, and the act of “making change” for a transaction is therefore entirely unnecessary. Bitcoin allows for international trade just as easily as trading in person. The costs for any transaction – ten dollars to ten million dollars – are about five cents as of 9/18/14 – and are verified cryptographically within ten minutes. Compare this to the costs and delays of shipping precious metals – from transport to insurance to customs to delivery, perhaps assaying – and one can easily see the benefits of the digital newcomer. In any number of categories one lists, Bitcoin succeeds over its alternatives: fiat money and precious metals. Because we can recognize the advantages users of Bitcoin enjoy, we can expect more people to become users, other things being equal. The adoption process will happen gradually, one person at a time, as more members are brought into the network by witnessing family or friends use it, hearing celebrities endorse it, or being convinced by intellectual discourse. Once more hands enter the network, Bitcoin becomes even more liquid, and thus encourages more hands to enter. A small minority of early adopters can project new value, culture, and technology into mainstream living. Of course, the argument continues, before Bitcoin becomes mainstream, it will presumably succumb to regulators and/or corporate interference, which will seek to sanitize it of any potentially wayward indiscretions it may have committed in its youth. Various government boards are implementing tax rules and transmitter regulations on Bitcoin businesses, and this will discourage mass adoption. With all the boulders the State puts in the way, Bitcoin surely cannot make it. Two points are needed to rebut this objection. One is simply to recognize that Bitcoin is stateless; it is international and answers to no legal statutes. If tax jurisdictions feel compelled to fight (people using) Bitcoin through legislation and regulation, Bitcoin technology will simply move elsewhere. This situation produces interesting game-theoretic conclusions: if Bitcoin productivity flees oppressive climates, then States that are laissez-faire, let alone States that encourage Bitcoin, will attract this capital, other things equal. Because Bitcoin simply represents information over the Internet, there is no friction of movement where there is with labor or conventional financial capital. As every State will come to recognize this incentive structure, their own support base for prohibiting Bitcoin will become weaker and weaker. How many people today would support obviously unfair restrictions or prohibitions on Internet access? To do so would not be to heroically join arms with international agencies to root out the extremists on this “anarchic” information-sharing system. Instead, support to control the Internet is met with very violent opposition in town squares. Almost everyone today recognizes Internet access as an extremely beneficial good regarding our standard of living, and so returning to a period of time without the Internet is politically completely out of the question. Massive financial and consumer support will bend public opinion and essentially the legal structures of various States to likewise support Bitcoin. Bitcoin will create mass appeal by offering people a financial safe haven that is outside the abilities of governments to counterfeit or rob. The second point is logistical. Even if certain States decide to ban Bitcoin, despite its popular support, they are proving more and more incapable of actually enforcing these laws. The speed of technological – and especially cryptological – development is quickly rendering the government impotent. For all their resources, State intelligence agencies such as the NSA are not populated by powerful math wizards – they control and surveil Internet data through predictably broken systems, i.e., twisting Google’s arm, exploiting weaknesses in Windows, siphoning from Facebook, etc. The surveillance capabilities of billion-dollar intelligence agencies are severely undermined when tools like Bitcoin, TOR, Bitmessage, GNU/Linux, and Diaspora* are used. Witness the complete failure the State experiences in its quest to impose intellectual property laws. Peer-to-peer file-sharing technology is ubiquitous and decentralized. The Pirate Bay, the largest library of media on the Internet, is a BitTorrent website that allows quick downloading and uploading of any media you want, for free. It has existed for a number of years, but even if the Pirate Bay should go under, BitTorrent technology is completely decentralized and thus impossible to combat. New hosts will emerge as surely as the sun rises. The architectural structures of Bitcoin and BitTorrent effectively make them “anti-fragile.” Chaotic shocks and stressors actually enhance the performance of these networks instead of breaking them. The unimpeachable presence of file-sharing and digital cash technologies is truly inspiring; their history is a history of repeated attempts, failure, and reworking. Centralized institutions like Napster or e-gold were inferior arrangements to provide for these services. They were met with incredible legal force. Because these technologies live on the Internet, future geniuses are able to pick up the pieces and retool the application in a way that is resistant to the downfall of its father. Over time, file-sharing and digital cash technologies became completely peer-to-peer. The reliable institutions that support these nascent technologies – such as The Pirate Bay or OpenBazaar – are further built in anti-fragile ways. Attacks on these structures may or may not destroy them, but they will surely spur the evolution of stronger, more resistant methods of peaceably interacting against the wishes of the State. This is not to mention the attacks on fiat currencies Bitcoin will encourage. The success of the Internet and file-sharing technology specifically indicates the enormous benefits people around the world gain from these services, and that further they are not willing to give them up without a fight. In this day and age, the fight isn’t physical, nor is it political or social. The fight is technological. Great minds around the planet are solving ways that criminal agents can break these valuable systems; coin mixing is improving, decentralized marketplaces are coming, Bitcoin transactions can pass through radio or sound waves where Internet access is low. Any conceivable attack on the use or enjoyment of Bitcoin is being anticipated and eventually solved. That’s not to say we are in the clear entirely, but the greatest danger already lies behind us. It gets easier from here.